July 31, 2014 (Source: Marketwired) — Star Minerals Group Ltd. (CSE:SUV) (“Star“) is pleased to announce that it has closed the first tranche of the non-brokered private placement announced on July 21, 2014. The first tranche consists of aggregate gross proceeds of $73,860. The Company has issued 246,200 units at a price of $0.30 per unit in the first tranche. Each unit is comprised of two (2) common shares in the share capital of the Company (“Common Shares”) issued on a “flow through” basis, as defined in the Income Tax Act (Canada) (the “Flow Through Shares”), three (3) non-flow through Common Shares (the “Non-Flow Through Shares”) and two (2) Common Share purchase warrants (the “Warrants”). Each Warrant will be exercisable for a period of two (2) years from the date of issuance at an exercise price of $0.10. The proceeds of this financing attributable to the sale of the Flow Through Shares will be used to fund expenditures on Star’s existing mineral properties. The proceeds of this financing attributable to the sale of the Non-Flow Through Shares will be used for general working capital. The Company entered into a joint venture in an advanced rare earth project in Saskatchewan – Hoidas Lake. 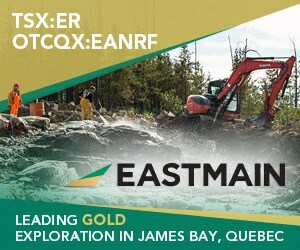 Star also holds a strategic gold exploration property in the Seabee gold mining district, diamond properties in the Fort a la Corne region as well as base metal and uranium properties. STAR TRADES ON THE CSE UNDER THE SYMBOL “SUV”. This news release contains certain statements which constitute forward-looking statements or information (“forward-looking statements. Such forward-looking statements are subject to numerous risks and uncertainties, some of which are beyond Star’s control, including the impact of general economic conditions, industry conditions, volatility of commodity prices, currency fluctuations, competition from other industry participants, stock market volatility and the ability to access sufficient capital from internal and external sources. Although Star believes that the expectations in its forward-looking statements are reasonable, they are based on factors and assumptions concerning future events which may prove to be inaccurate. Those factors and assumptions are based upon currently available information. Such statements are subject to known and unknown risks, uncertainties and other factors that could influence actual results or events and cause actual results or events to differ materially from those stated, anticipated or implied in the forward looking information. As such, readers are cautioned not to place undue reliance on the forward looking information, as no assurance can be provided as to future results, levels of activity or achievements. Other factors that could materially affect such forward-looking statements are described in the risk factors in the most recent management’s discussion and analysis that is available on the Company’s profile on SEDAR at www.sedar.com. Readers are cautioned that the foregoing list of factors is not exhaustive. The forward-looking statements contained in this document are made as of the date of this document and, except as required by applicable law, Star does not undertake any obligation to publicly update or to revise any of the included forward-looking statements, whether as a result of new information, future events or otherwise. This cautionary statement expressly qualifies the forward-looking statements contained in this document.